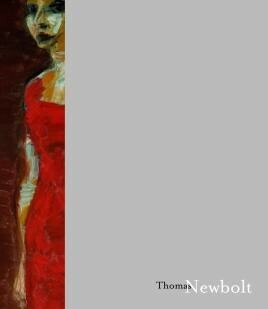 First published to accompany Piano Nobile's exhibiton at Piano Nobile Kings Place, Thomas Newbolt: Drama Paintings - A Modern Baroque, this fully colour illustrated book presents a substantial publication on contemporary artist Thomas Newbolt. Newbolt's dedication to the figure in art, and the vitality of his work have gained him international recognition. An artist of talent and intellectual integrity, he was Harkness Fellow at the University of Virginia and the University of Wisconsin, and a Fellow-Commoner at Trinity College, Cambridge, as well as a respected teacher at Camberwell, Anglia Ruskin and The Royal Drawing School, London. Recent exhibitions include Ely Cathedral, the Estorick Collection, and a group show, Vital Signs, at Clifford Chance in 2015. His work is held in major international public collections. With essays by Mark Hudson, arts critic at the Telegraph, Professor Maurice Biriotti, and Martin Gayford, critic at the Spectator, this catalogue provides fresh insight into the work of this most enigmati and powerful of artists. Lavishly illustrated and beautifully designed as a work of art in its own right, Thomas Newbolt: Paintings is a reflection on Newbolt's career thus far, and a testament to the significance of his work. The publication includes three essays, a catalogue of works selected by Thomas Newbolt, a chronologyof the artist's career and an index.